Harvey Paul Johnson was born June 22, 1919 in Bridgeton. Strong, swift and powerfully built, he excelled on the football field as a runner, blocker, tackler, and kicker. He starred for Bridgeton High School in the 1930s before attending Staunton Military Academy in Virginia for a year. There Harvey came to the attention of the William & Mary football coach, Carl Voyles, and was offered a scholarship. W&M went 23–5–2 during his three varsity seasons. The 1942 team, starring Harvey, Buster Ramsey and captain Big Moose Bass, was ranked in the Top 20 and won the Southern Conference championship. Their only loss was to a military all-star squad that fielded several pros. Harvey was a fullback, linebacker and kicker for Big Green, and was nicknamed “Stud” by his teammates. He kicked the winning field goal in two exciting 3–0 upsets against Navy and Dartmouth. In William & Mary’s defeat of Bill Dudley’s Virginia team, he ran for both the team’s TDs. He made the all-conference team as a junior and a senior. The NFL’s Brooklyn Dodgers chose Harvey in the 6th round of the 1943 draft. However, he ended up in a Navy uniform first and never played a down for the Dodgers. His last game before the war was as a member of the College All-Stars. He was the first W&M player ever invited. After the war, Harvey took what was left of his football skills and shopped them around the new All-American Football Conference. The New York Yankees snapped him up and he was a kicker and tackle on the 1946 and 1947 teams that made it to the AAFC Championship game. The Yankees lost both years to Browns in rugged defensive battles. Harvey played two more seasons for the Yankees, and then finished his career in 1951 with the NFL’s New York Yanks, handling kicking duties, playing a little linebacker and leading the team in scoring. Harvey was a perfect 36-for-36 in extra points and 6 of 8 in field goals in 1946. He was 49-for-51 the next year and missed only one of his 8 field goal tries. 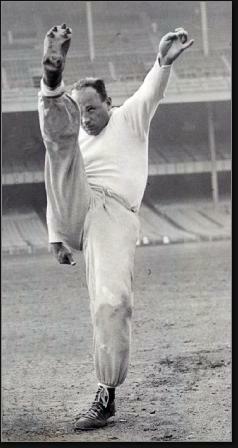 Harvey was perfect in 37 point-after tries in 1948, but only made 2 field goals. In 1949, he was 25-of-25 and was true on 7 of his 15 field goal attempts. 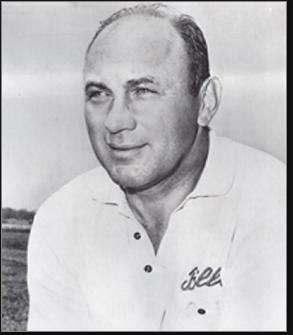 Harvey stayed in football during the 1950s as a coach and made it back to the pros in 1960, when the Buffalo Bills hired him to handle their pass defense. The team's offensive backfield coach was Floyd Reid, another Bridgeton native. In 1962, Harvey was promoted to Director of Player Personnel. He brought in many of the players who helped the Bills win back-to-back AFL championships in 1964 and 1965. In 1968, owner Ralph Wilson fired head coach Joe Collier one game into the season. Collier had been frustrated with the team’s preseason performance and arranged an intrasquad scrimmage to work out some kinks. Quarterback Jack Kemp broke his leg during the practice, enraging Wilson, He asked Harvey to step in. The two were fast friends, sharing a passion for horseracing, so Harvey couldn’t say (although he should have). With no QB and an aging roster, Harvey managed just one victory and a tie the rest of the way. He was replaced after the season. The silver lining was that the Bills’ poor record enabled them to draft OJ Simpson. Harvey continued on as the team’s defensive backfield coach. He was handed the coaching reins again in 1971, and went 1–13. The Bills made him a scout after that, and he continued in that role until the day he died in 1983.